The Montecristo Epic is a cigar truly deserving of its name. When Altadis, the world's largest producer of premium cigars, set out to create a cigar of monumental proportions, there could be no better choice than the legendary Montecristo brand. 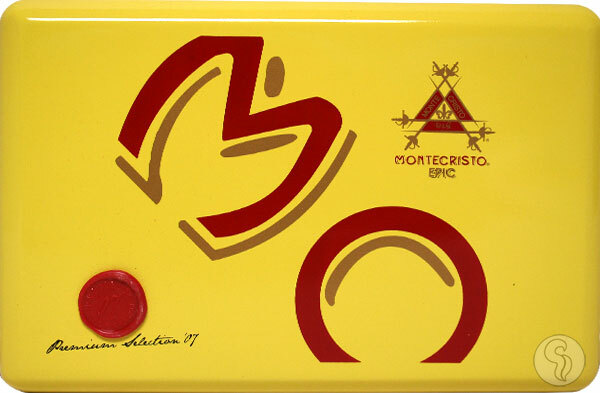 Having an arsenal of some of the best cigar blenders in the world at their disposal, known as Grupo de Maestros, the Montecristo Epic began to take form under their careful guidance. At first glance, it becomes instantly apparent that the Montecristo Epic is a cigar of a higher class. From the specially crafted 10-count boxes, with packaging rivaling the best in the world, to the regal appearance of the cigar itself, it is clear that Altadis has spared no expense. But what is a cigar without performance? The Monte Epic is expertly crafted with some of the best construction one will find. The blend consists of a select Ecuadorian Habano wrapper, Nicaraguan binder, and a special selection of vintage tobaccos, dating back to 2007, from Nicaragua and the Dominican Republic used in the filler. When smoking the Montecristo Epic, expect to be greeted with a complexity not often found. The cigar is robust, with a full body and flavors of chocolate, coffee, nuts, spices, and sweet caramel.